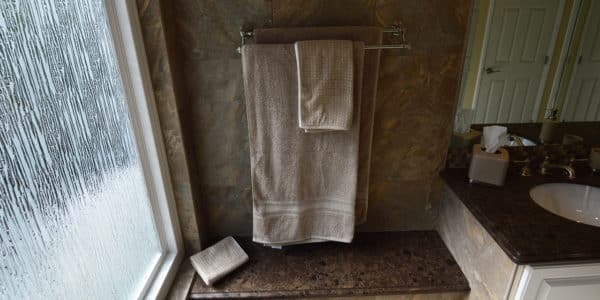 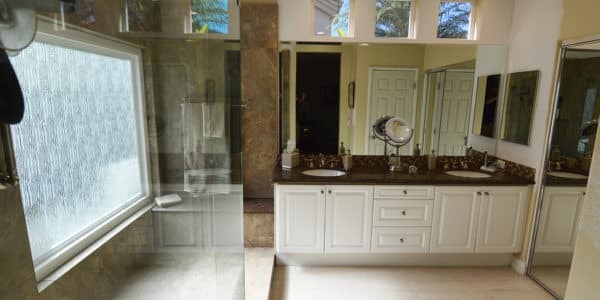 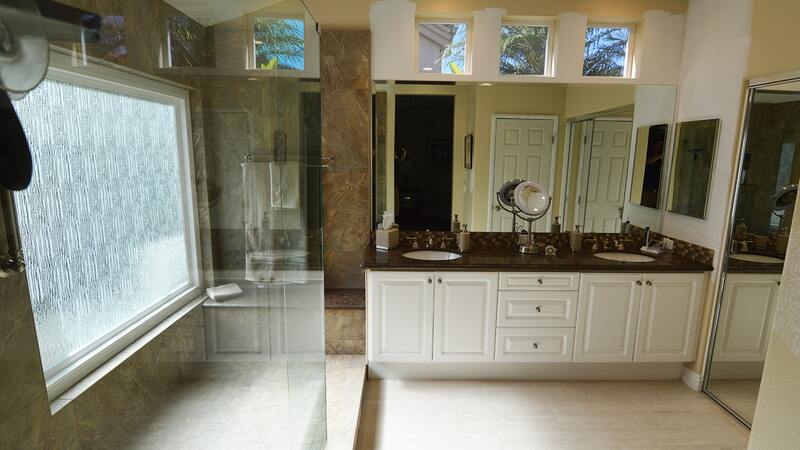 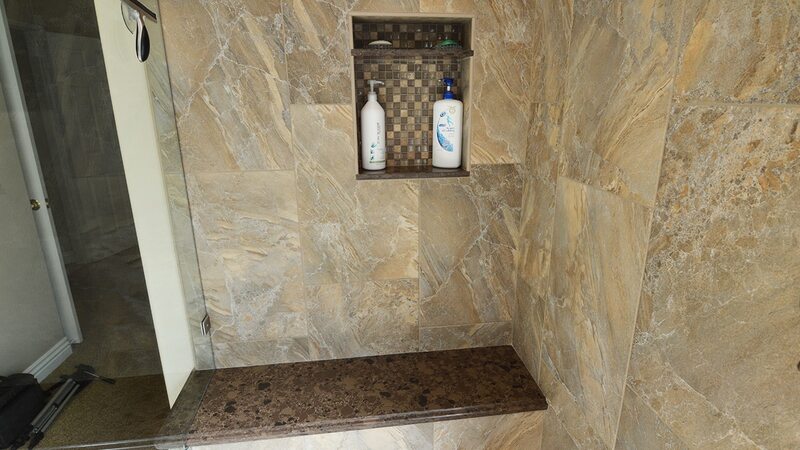 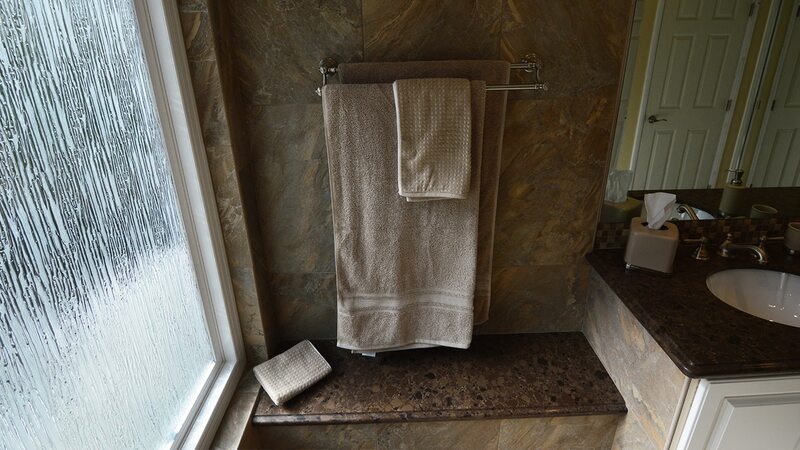 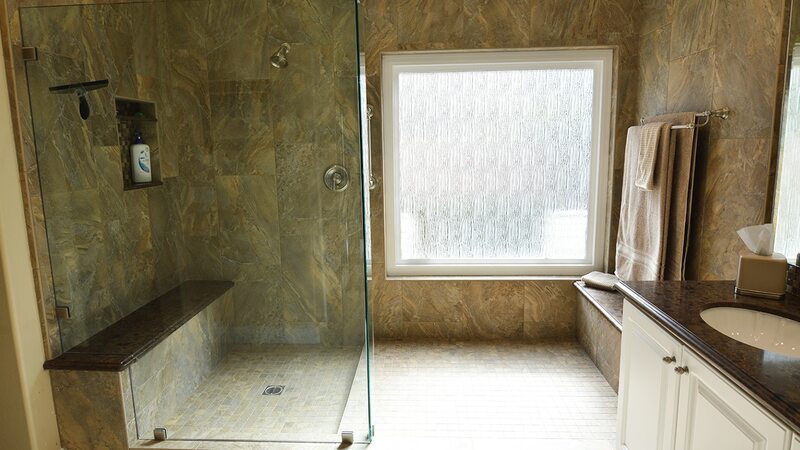 Project Features: Walk in shower, added lighting, a dry station and a shower bench. 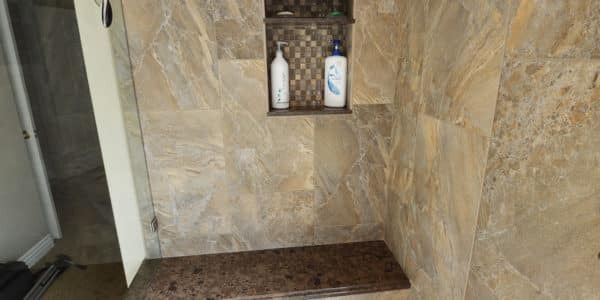 The shower includes 16×24 tiles from Arizona Tile called Dome Walnut for the walls, the floor is the same Dome Walnut in a 2×2 Mosaico, the trim of the shower is a surface bullnose in a 3×16 and the accent niche back is from Arizona Tile as well in SL-Café Melange 1×1 mosaic. 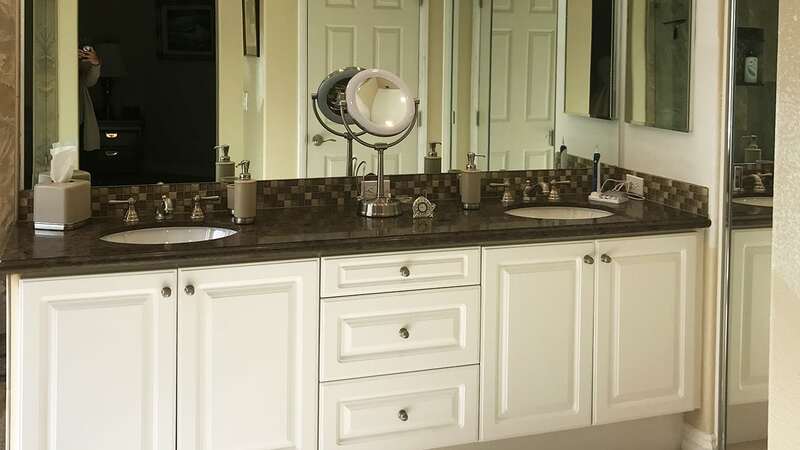 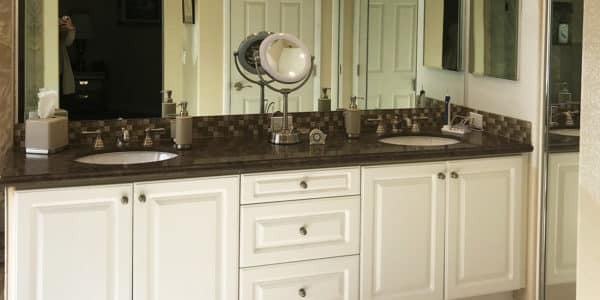 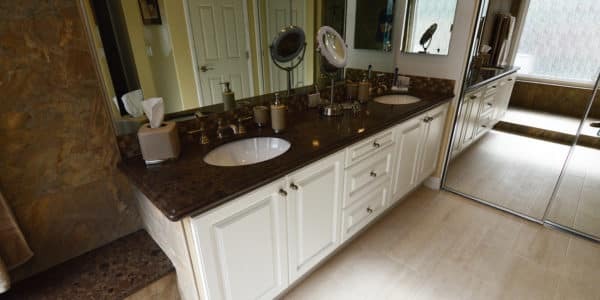 The countertop and shower seat is Alberta Quartz again from Arizona Tile, the trim is ogee bullnose and the back splash around the countertop is four rows of the same SL-Café Melange 1×1 mosaic. 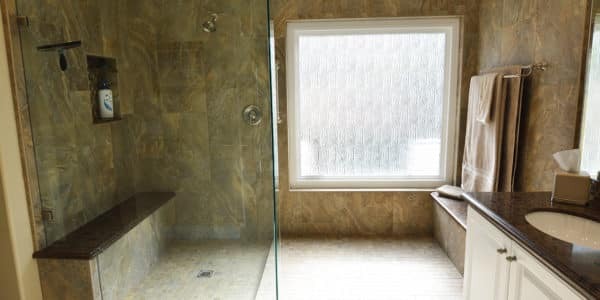 Lastly the floor Cemento Cassero in 12×24 as well from Arizona Tile.